At merben, our passion is the thrill of discovering and bringing you uniquely crafted, uniquely designed fun, fabulous & colourful finds that make you stop and say  I gotta have that! Thats what we said when we found each one. We buy what we love, what we havent seen elsewhere, what excites us & makes us feels good. A core part of merben, who we are and how we work is that relationships matter to us. We have longstanding and trusting relationships with all of our suppliers. We believe & are committed to finding unique & high quality products that also help communities and people in need. Some of our products have really amazing stories behind them, where they came from, who made them, that makes having them and sharing them that much more special. We hope you feel the same. Learn more about some of our suppliers. Our cotton throws & baby blankets come directly from one of Indias leading suppliers & exporters of home textile products. They are a 3rd generation run family business and knitting is their passion, priding themselves on world-class quality, yarns sourced from the best mills in India. To ensure they can control, experiment an the market with unique patterns, structures & fabrics, they have several in-house design studios, as well as a highly trained & skilled workforce capable of producing and delivering intricate designs, colours and patterns. They follow stringent international guidelines on processes from manufacturing up to packaging. To ensure complete check on quality, design, confidentiality and delivery complete production is in-house. The heart of Nepal is where we find our beautiful crochet & felt toys. Our supplier has been recognized as a top exporter in handicraft goods since 2008, using 100% natural materials and implementing a fair trade process. 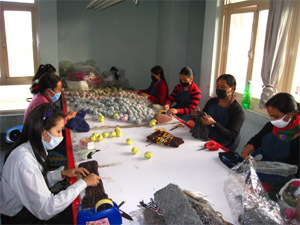 All products are made by local Nepalese women. Felt is an amazing and simple process, but requires skill to execute to perfection. 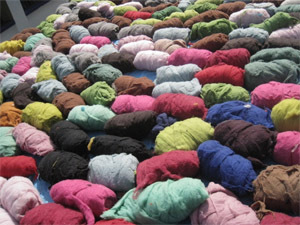 Felting, crochet & knitting are one of the oldest textiles, a process that came from the mountain side of Nepal about 6000 years back. Nepal is one of the poorest countries, with an incredibly high unemployment rate. 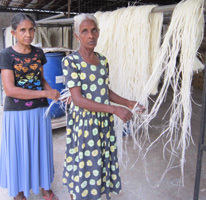 We are proud to say that our supplier helps create employment for 2000 locals, and is committed to helping create local jobs and grow the local economy so women can become more independent and help their families. Sri Lanka and its main city of Kerawalapitiya is where we discovered our body brushes. There, only sustainable biodegradable raw materials are used and all products are handmade. Timber used for our products are timber off cuts. Timber is abundantly grown in Sri Lanka. The sealer we use on our timber is a toy paint sealer which is non-toxic. About 25 people are employed from their main factory, and only those 18 or older. There is no discrimination in gender, religion, language or cast. Most of the women employed are with children and are allowed flexible working hours. Work is provided for women around the vicinity who work from their homes and are unable to come to the factory (taking care of their sick parents, babies, etc) as well as several subcontractors in rural areas (families with children) who are unable to come to work on the premises. Jute is extracted from the bark of the Jute plant and is one of natures strongest vegetable fibers. In India and Bangladesh some 4 million farmers earn their living and support 20 million dependents from jute cultivation, while hundreds of thousands work in the jute manufacturing sector. 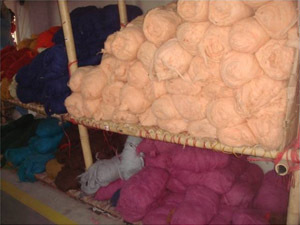 The jute for our brushes is imported from Bangladesh. Coir or Coco fiber is the fibrous material found between the hard inner shell and the outer coat of a coconut, the bit you dont eat. A mature tree can produce 50 to 100 coconuts per year. The brown coir fiber is harvested from fully ripened coconut and is about 10 to 30 cm long and is relatively water-proof and one of the few natural vegetable fibers with a natural resistance to fungus and mites makes it perfect for use as a kitchen or bathroom brush. The Coconuts are grown by small-scale farmers, who use local mills for fiber extraction which makes it an important source of income.